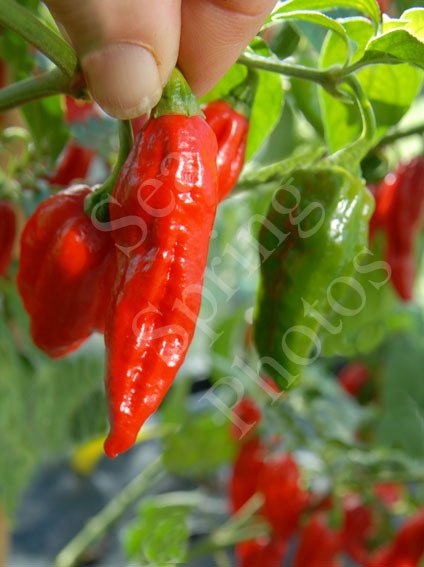 A Ghanaian chilli that produces elongated fruit with a slightly ripped texture. The fruit are extremely hot, and ripen from green to red. An extremely hot habanero chilli from Ghana. The variety has attractive, elongated fruit that measure 20x55mm. 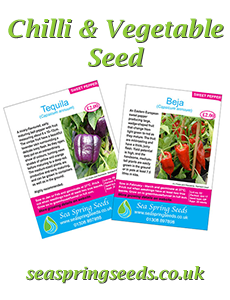 They are slightly ribbed and turn from a shiny green to bright red as they ripen. The plants are sprawling bushes that can be grown either in the ground or large pots.